Dumfries & Galloway’s most complete golf facility including the championship Dunskey course, the par 3 Dinvin course and an extensive range of practice facilities. Founded in 1903 the course commands magnificent views across the Irish Sea to Northern Ireland, the Isle of Man and Mull of Kintyre. 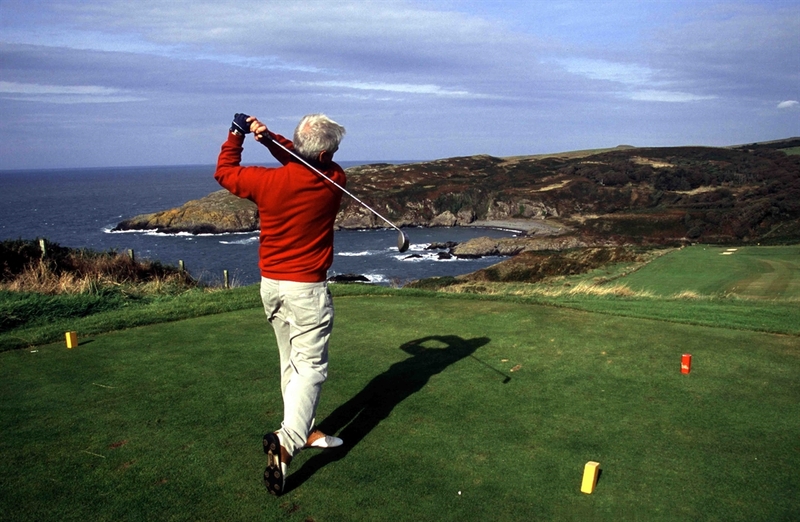 Portpatrick is famous for its warm Gulf Stream influenced climate which enables great quality golf all year round. The 2 courses are a mixture of rolling moorland and seaside heath, at around 150 feet above sea level. 18 hole Dunskey is a must play in Galloway. Popular with groups of golfers from all over Scotland, and in fact all over the world, the course is famed for its wonderful scenery, charm and its welcoming nature, which positively embraces visiting golfers and groups. Families and beginners are encouraged to try the 9 hole Dinvin, a pay and play course which does not require advance booking. Taking about an hour to play, Dinvin is ideal for the golfer looking for a quick bit of exercise or for the beginner who does not feel up to the rigours of 18 holes. 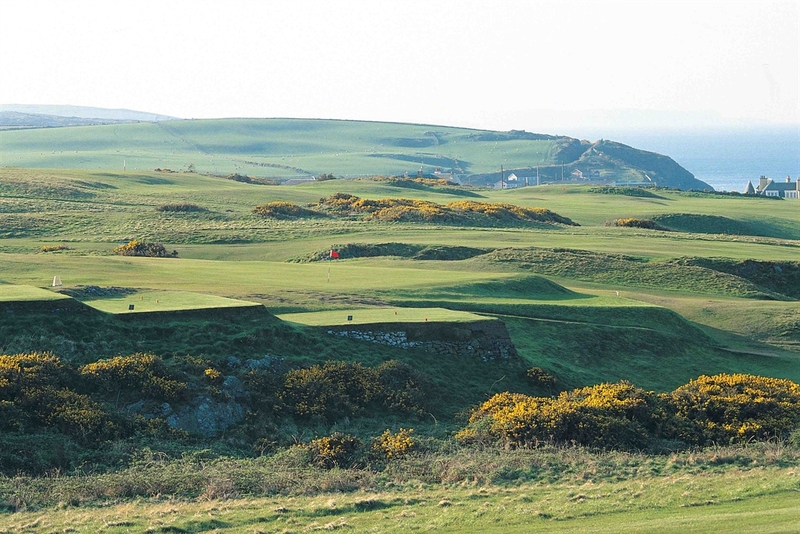 A true golfing treasure, Portpatrick is one of Scotland’s most highly regarded courses for visitors and golfing groups. Family rates and discounted books of tickets are available. The 13th hole is par 4 perfection with truly exceptional views that, on a clear day, offer glimpses of Ireland, Mull of Kintyre, Isle of Man and Cumbria across the water. The path to the left marks the first stage of the Southern Upland Way, Scotland’s coast to coast footpath. The green is often driveable but the percentage shot is a long iron down the left side, then aim to the right of the pin with your approach. Pair with Stranraer and St Medan for golfing heaven. Suitable for: Experienced golfers for 18 hole course. All abilities including children on par 3 course. Golf parties are welcome.